Skyward Sword presents the Sky as a successor to The Wind Waker‘s Great Sea – an attempt to expand the good and leave the bad behind. This of course merits comparison between the two. Has the Sky really succeeded as an engaging overworld, or has it failed to capture the charm of the Great Sea? 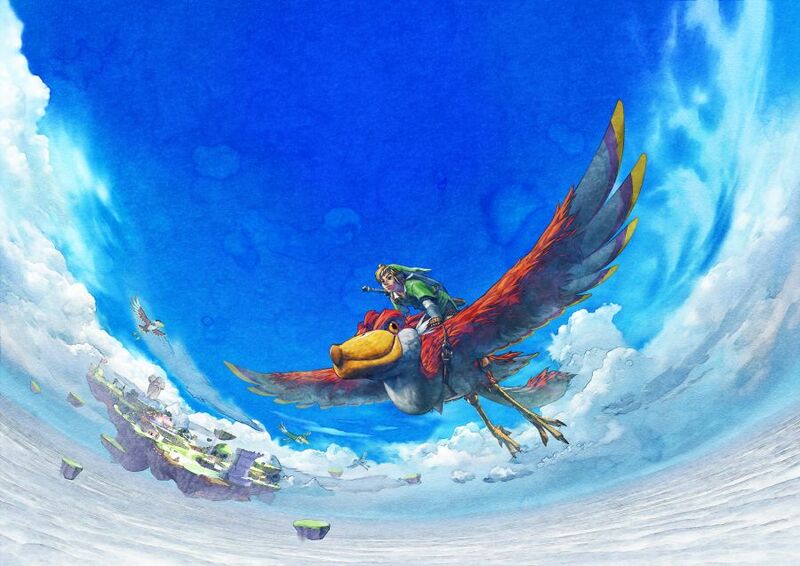 “Look Before You Warp” was written before Skyward Sword was released, so I don’t know Wilson’s views on the Sky, but there are many ways in which its design has a similar effect as warping across the Great Sea. For example, think how much meaning is lost, finding yourself at the base of a volcano without having watched it growing on the horizon while you approached. In the debate over the superior overworld between the Sky and the Great Sea, there are a lot of commonly referenced elements of their design and their approaches at travel. Contrasting the two overworlds, I look at what makes a good journey, at which environment has more meaning. Starting big, expansiveness is a frequently discussed attribute of both overworlds. This is where I’ll admit that the Great Sea went a little overboard: It takes a long time to get from one island to another. While it’s important for a journey to have distance and duration to build substance, after a while it does become tedious. As I alluded to above, there’s something meaningful about watching a volcano approach on the horizon, but the distance between the islands means that only a few islands will be visible on the horizon at any one time, which can only hold one’s wonderment for so long. It might have been more interesting if the islands were closer together so one could, for example, see an island or two past the destination. However, the Great Sea does stress the importance of experiencing firsthand the expanse between source and destination; the player feels a special humility when at the mercy of the sea and wind, with the safety of land merely a speck in the distance. Skyward Sword‘s Sky addressed the Great Sea’s overzealousness by compacting the overworld, bringing the ‘islands’ closer together. Good idea. Unfortunately, the only three or four useful islands are just about as far apart as adjacent islands are in the Great Sea. Granted, not all the islands in the Great Sea are useful, and one will often travel to non-adjacent islands, but planning an efficient route is an important part of a journey. Planning routes is also present to some extent in the Sky, but is far less profound thanks to the small number of islands. They’re small in number because much of the content takes place on the Surface, which by itself doesn’t enter into this discussion. However, the fact that the Sky breaks up these overworld areas is very important. Recall descending straight to the foot of Eldin Volcano. 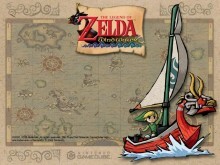 In The Wind Waker, your journey fluidly transitions from land, to boat, across the sea, and back onto land. In Skyward Sword, this sequence is broken up by cutscenes, forcing you to relinquish your control of that portion of the journey. These drawbacks of expansiveness are addressed differently in each game, and in this case the Sky presents the superior option for giving the journey a boost. The Great Sea’s method is Wilson’s primary topic in “Look Before You Warp”. Warping from point A to point B severely harms the journey, even more so than Skyward Sword‘s cutscenes between the Sky and the Surface. The Sky allows players to speed up their journey by flying through boost-rocks. This both gives the Sky some character and allows players to experience it. The player is in control the whole time (more or less), and there’s no disconnect between point A and point B. Sometimes one might wish to open one’s map for a different perspective. The differences between the Great Sea’s and Sky’s maps are often taken for granted as minor gameplay elements, but they have a profound effect on the journey. The important difference is that the Sea Chart starts out empty, while the map of the Sky is complete except for the Thunderhead. Why does this matter? Consider this situation in each game: You’re traveling from Island A to Island B, and you come across Island C on your way. If you’re traveling through uncharted waters, then you don’t know what wonders Island C may have in store for you should you stop there. You might even look around for a fish to tell you more about it and put it on your map to revisit later. But right now your destination is Island B, so you move on after considering Island C. If you’re traveling through the Sky, you pull up your map, see that it’s just a rock, and continue to your destination without a second thought. Island C would become part of your journey in the Great Sea, adding to its meaning. In the Sky, Island C is an afterthought and your journey is focused almost entirely on the destination. Perhaps more important than what one can see along one’s journey is what one can (or has to) do. 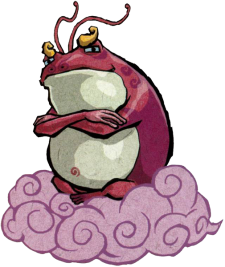 When supporting the favored overworld, people call this involvement; those citing it as a negative aspect of their less favored overworld call it tediousness. However, both overworlds have both involving and tedious aspects. Changing the wind’s direction is often cited as a tedious requirement for sailing on the Great Sea. Regardless, its main purpose is a noble one: Enforcing an awareness of the state of the environment while traveling, which does a lot to make the journey more involving. By controlling the wind, players gain some ownership of the environment through which their journey takes them. However, I will agree that conducting the Wind’s Requiem and watching the quick cutscene every time can become tedious. Perhaps a quicker method could have been devised. Buying bait for the Fishmen in order to fill in sections of the map is another example of a Great Sea feature with great potential in journeymaking – as I mentioned earlier – that ended up rather tedious in its execution. There are plenty of other things to do on the Great Sea. Sure, you can head out in the right direction, put down your controller, and come back when you arrive, but you’re robbing yourself of the experience of coming across things like the platforms rising above the water. Usually these aren’t as rewarding as one would like, but it adds something dynamic to the journey: keeping track of which ones you’ve visited and which ones you’d like to revisit, discovering ones that you missed when you first passed through the area… you might even run into a Big Octo! The Sky has its own fair share of things to keep it from feeling empty – a task made more difficult for the designers by adding the vertical aspect. These include fellow Knights, some Octoroks and Guays, and my favorite: Flying squirrels. But what proponents of the Sky look to as more involving than the Great Sea alternative is the Loftwing. It is actively controlled, unlike the King of Red Lions. This means you’ll never have nothing to do while flying through the sky. It’s more involving, so it’s better than sailing, right? Not in this case, where it pulls your attention to controlling the bird and away from experiencing the journey. I’d go so far as to say controlling the Crimson Loftwing is tedious, though I know many haven’t had the same troubles as I have. How is repeatedly flapping to the top of the Sky and diving to the bottom any more enjoyable than sailing straight across the Great Sea? It may give the player more to do, but if one’s ride doesn’t need constant attention, one has more to see. And since the former is rather tedious and the latter more awe-inspiring, this is a case where seeing adds more to the journey than doing. Discovering a long-lost land may be a common element between the two stories, but there are several radical differences that affect how the story is tied to the overworld. One of these becomes evident at the very beginning of each game: Link’s familiarity with the world. 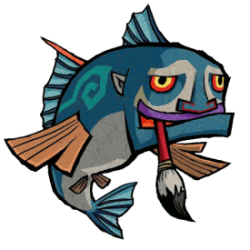 In The Wind Waker, Link is still rather young and likely hasn’t seen much if anything of the world outside his home island of Outset. Aptly named, this is the island from which his journey begins. That is, as soon as Link boards the pirate ship, he’s experiencing a new world. 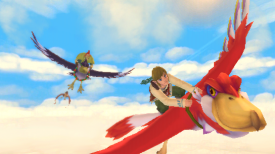 Link is much older in Skyward Sword and is already proficient at riding a Loftwing. The sky is no mystery to him; it’s his playground. In order for the Sky to work, the player must immediately become familiar with it, hence the tutorial Bird Riding Ceremony. 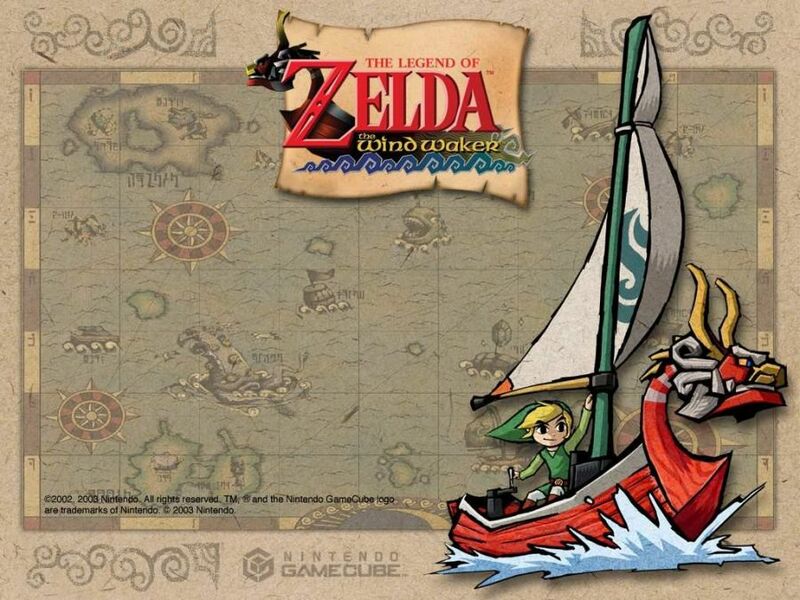 In terms of the “hero’s journey” – a literary pattern which most Zelda games, including The Wind Waker and Skyward Sword, closely follow – all of this takes place before the “call to adventure”. 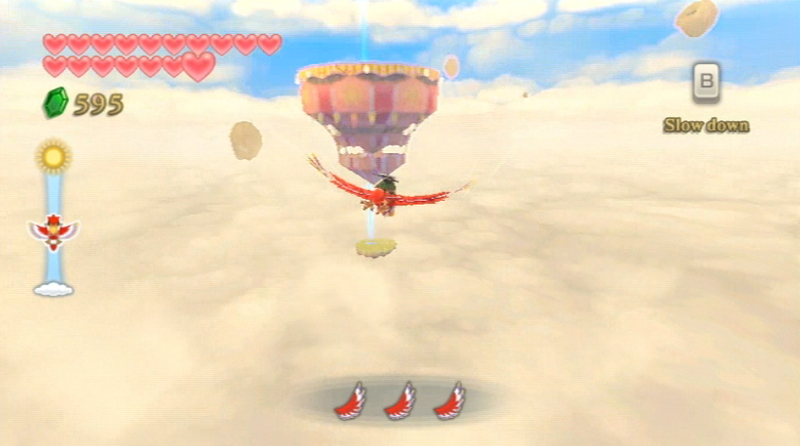 The Sky is part of Link’s normal life, before it is interrupted by events calling him to the land below. While embarking on the Great Sea marks passage through the “threshold” – the hero’s journey concept of the transition into the large, unknown world – the Sky remains inside this threshold. This has serious implications on what meaning is added and how while journeying through these environments. Link encounters many distinct and interesting cultures in his travels across the Great Sea, thanks to their effective isolation (though they still have boats and airmail). The variety of these cultures is matched by the variety of their ties to the past. While Windfall Island is a marker of progress and a promising future, the people of Dragon Roost Island and Forest Haven commune with ancient deities and guard sacred pearls. Tingle helps uncover the legend of a heroic fairy who lived before the flood (not to mention in a different world entirely). The Fishmen encountered in the midst of the journey hint at artifacts from the mysterious sunken kingdom. While the Sky itself is bereft of all this, its destinations – the regions on the surface – certainly are not. Each region features at least one race specialized to its environment, with ties to the past in the form of their guardian Dragons. Even the Fishmen have an analog in Gorko. So what exactly is the difference here? It would be difficult to argue that the large regions themselves are somehow inferior to the Great Sea’s islands. Rather, one must consider this along with the previous point detailing Link’s experience. The Great Sea is new to Link, and by extension, the player. Hyrule is more mysterious yet. The characters on the Great Sea teach Link about the sea itself in addition to how the ancient kingdom is now viewed. The Fishmen go on and on about Triumph Forks, inspiring the player to find out the truth behind this hysterical legend. On the other hand, Gorko is obsessed with the long lost sky people, with which Link is already quite familiar. It’s a matter of perspective: the people of the Great Sea wonder about the history hidden below; the people of the Surface wonder about the history hidden above. This doesn’t matter for the story itself (where the change in perspective is refreshing), but it does impact an analysis of the overworlds. In learning about the flooded Hyrule, great revelations are made about the current state of the world. A couple of the islands contain entrances to submerged temples – portals to the old world. The initial call to adventure (Aryll) becomes tied to something much more sinister. The player comes to realize that the treasures he or she is collecting actually come from an ancient civilization that used to live on the seabed before the sea did. The water is no longer a simple natural obstacle taken for granted, but a tomb for a legend that finds relevance in the immediate journey. Revelations in Skyward Sword are more about Zelda than about the Sky. Gorko’s comments are meaningless, their only purpose being for a comical way of introducing gameplay elements. The player quickly learns about the land below and learns progressively more about Zelda throughout the game, but the Sky itself remains as impersonal as ever. There is no more “place”-ness. These comparisons betray the focus in designing each overworld. The Great Sea was designed with a strong environmental presence through which players can add meaning to their journeys. The Sky was designed as a means to an end; with the focus on getting the player to the next destination so the story can progress without regards to the Sky itself, travel was allowed to become more engaging at the expense of its sense of “place”. 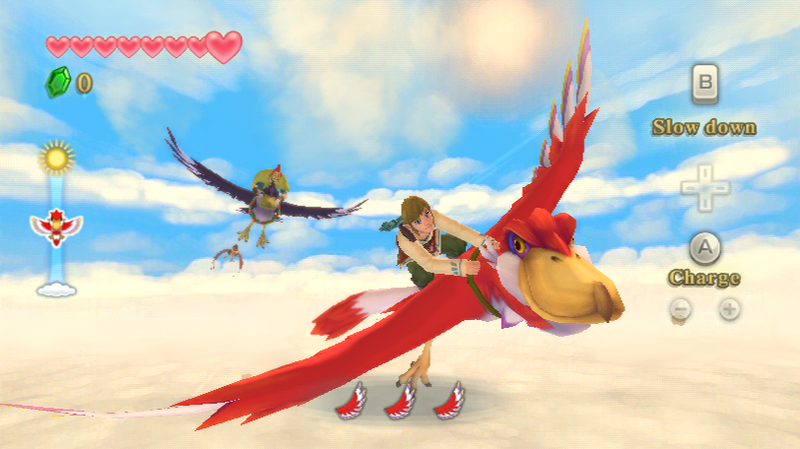 Skyward Sword‘s exaltation of story progression extends beyond the performance-oriented gameplay featured heavily in its transportation overworld, which could indicate an unpleasant trend toward the “action” side of “action/adventure”. From the way the story is structured to Fi’s active role in guiding the player to where the action is and urging the player toward the objective, the player’s surroundings are almost always overshadowed by the goal. Constantly reminded of the task at hand, the player hardly has a chance to simply soak in the environment. Must a game and its overworld go to such lengths to avoid being boring that it loses its quality as an adventure? What is a journey with no reflection of its meaning for the hero? 1. Wilson, Douglas. “Look Before You Warp”. The Legend of Zelda and Philosophy: I Link Therefore I Am (Popular Culture and Philosophy) ed. Luke Cuddy. Perseus Books Group. Nov 11, 2008. pp. 17-28. 2. “Okay, so we know Hyrule has been flooded and it’s at the bottom of the ocean, but then the question is how did it get there?” – Eiji Aonuma, GDC Roundtable, May 17th, 2004. 3. “We settled on having the sky and surface world, and on top of that, it was going to tell the story of the creation of Hyrule, with the untold story of the origin of the Master Sword. So, looking back at the series so far, we began knitting together the various elements.” – Hidemaro Fujibayashi, Iwata Asks: Skyward Sword Volume Six: The Dense Script and Direction.